70 mm films are a true rarity these days, and finding theaters that properly project in the format is even rarer. With many directors feeling at ease using digital, filmmakers like Christopher Nolan, J.J. Abrams, and Quentin Tarantino are fighting to save film. 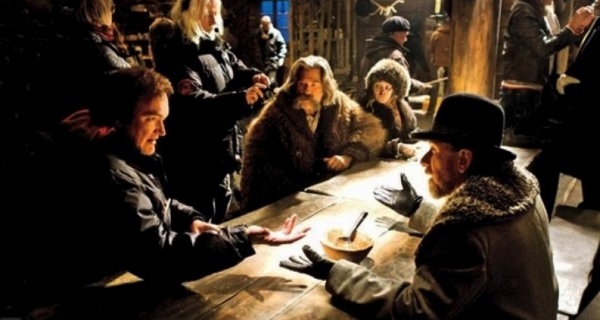 Now, according to a new report, after shooting The Hateful Eight in the 70 mm, Tarantino is having 50 theaters retrofitted with 70 mm projectors to show his upcoming film in the best format possible. For more info, check out the story below. As production for Quentin Tarantino‘s upcoming western The Hateful Eight continues, the film is adding more actors to the cast. 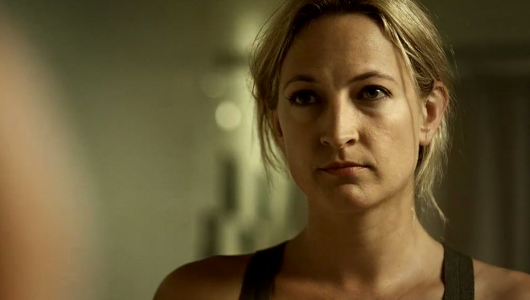 Zoe Bell (Death Proof) and James Parks (Kill Bill) will now be joining Samuel L. Jackson, Kurt Russell, Jennifer Jason Leigh, Walton Goggins, Demian Bichir, Tim Roth, Michael Madsen, Bruce Dern, and Channing Tatum in Tarantino’s latest western. Hit the jump to see who else will be joining them. After a night on the town on a first date, Jamie (Rachel Nichols) is abducted and finds herself in an underground prison where she meets Sabrina (Zoe Bell) and learns all too quickly what the situation is: she has been kidnapped to fight in a bare-knuckle to-the-death combat tournament for the sport of an elite secret society. If you don’t fight or if you lose the match, you die and one of your family members will be killed as well. Win the match, and they live to see another day. Sabrina, along with several cell mates in the same situation, try desperately to come up with a plan to escape, but with the guards patrolling, cameras watching their every move, and a combatant that can’t wait for her next challenge, the only way out will be through brute force. Before the elimination is over, friendships will be tested, rivalries will be settled, and the ground will be soaked in blood. Drew Barrymore gets it. She understands the relationship between music and film. While watching the film, I would crack a smile as songs by The Breeders, Tilly And The Wall, The Ramones, The Chordettes, Dolly Parton, Peaches, and many others would blare out during the film’s many magical and cathartic moments. A good soundtrack is essentially an awesome mix tape. Drew Barrymore understands this all too well for her directorial debut.